Pet Adoption | R/F Humane Society: Meet Domino and Hit the Jackpot! 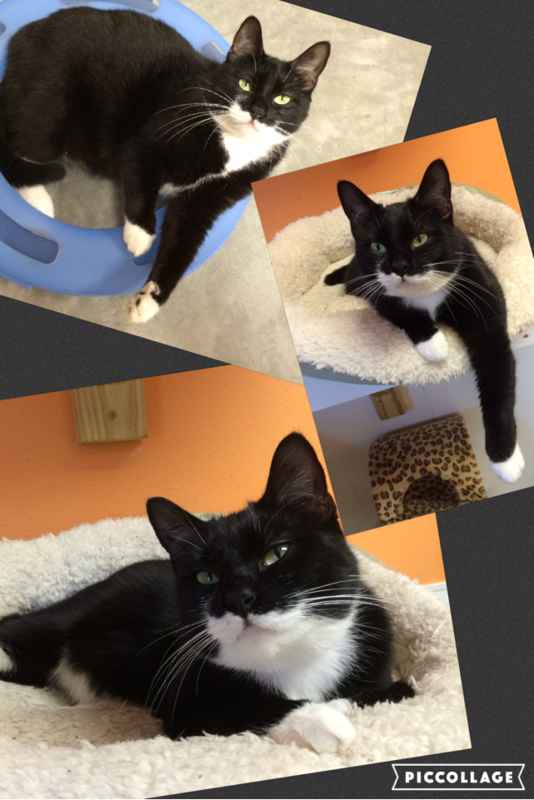 There's a tuxedo dressed gal with dainty white toes, she's playful and charming as everybody knows! With her sparkling green eyes and cute black nose, she'll have you falling for her like dominoes! Domino is a young spayed female cat who'd love to be at the center of your game! She is friendly and affectionate with people, and will happiest in a single cat home where she can call all the shots. Domino arrived at the Humane Society as a small kitten and she's still waiting for her lucky chance to to hit the jackpot. Come meet Domino in Cattery 1 and we'll bet you'll be "All In" to give her a home!